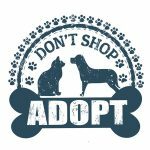 If you are ready to adopt a dog or cat through the Pet Rehoming Network, please complete and submit the following adoption agreement to finalize the adoption. Once submitted, a copy will be available to you and the pet's owner for printing. Please enter the adoption processing fee as detailed on the pet's adoption profile. PLEASE PROVIDE A MOBILE OR CELL PHONE ON WHICH YOU CAN RECEIVE A TEXT MESSAGE, IF POSSIBLE. Please place a check mark beside each of the items listed below to indicate your agreement. I agree to provide care from this day forward to this pet. This includes adequate food, water, playtime, companionship, shelter, veterinary care, keeping the pet safe, and lots of love. The pet will live in my home as a first-hand family member, and not be kept outdoors. I agree never to sell, trade, give away or surrender the pet to any person or agency without giving prior notice to - and receiving approval from Pet Net. I further agree that Pet Net will have first option of rehoming the pet in this event. I further agree to house and care for the pet until a suitable replacement home can be found by Pet Net, in the event that I am unable to fulfill my commitment as detailed in this contract. I agree that all expenses incurred after I take possession of the pet will be my responsibility and the owner is released from any and all liabilities whether financially or other. 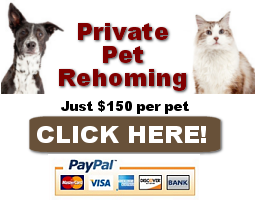 I agree to immediately notify Pet Net if my address or other contact information should change. I agree to participate in post-adoption pet well-being checks and further understand that the staff of Pet Net will contact me to ensure that the pet is being well cared for. I agree to remain in contact with the owner for the next year (should they desire this), and periodically send photos and updates on the pets' well-being and adjustment to my home. I agree that small children (aged 0 to 6) will be supervised when in the presence of the pet. By signing below, agree to accept ownership of this pet. I agree to all conditions set forth in this adoption agreement.